Michael White won his second world ranking tournament after defeating Shaun Murphy 4-2 in the final of the Paul Hunter Classic in Furth, Germany. 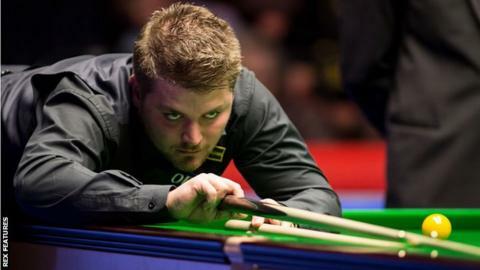 The 26-year-old Welshman sealed the title with a break of 97 in the deciding frame at the Stadthalle. White, whose previous win came in the 2015 Indian Open, won the first two frames and never trailed in the final. Victory completed an impressive week's work for White, who beat world number one Mark Selby 4-1 in the last 16. After going 2-0 down, England's Murphy hit back with a break of 84 to halve his deficit. An 83 from White gave him a 3-1 lead and, although Murphy won the fifth frame after his opponent missed the final black, White was not to be denied and saved his best until last with the 97 break to secure victory. White, from Neath, was the youngest player to make a competitive century when he did so at the age of nine, and was world amateur champion by the age of 14.